Weckpots are well known to keep jam fresh and for serving it on the table. But weckpots can also be used to burn a candle. Add an “add-on” sticker and make it a nice weckpot-gift! 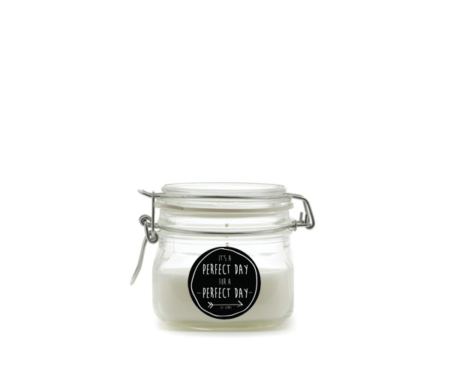 Sticker: “It’s a perfect day for a perfect day” with black background and white letters. Sticker fits on the lid of the weckpot of the mini one. And on the small one it fits also the weckpot. The sticker fits on both sizes of the weckpots.